The first part of the estate of coffee entrepreneur Klaus J. Jacobs had a 100% sell through rate last week at auction house Lempertz, Cologne. Next week, more coffee-related works by major artists will be part of the Modern Art auction. The Modern Art auction taking place on December 1 will feature Le Moulin à café by Georges Braque. 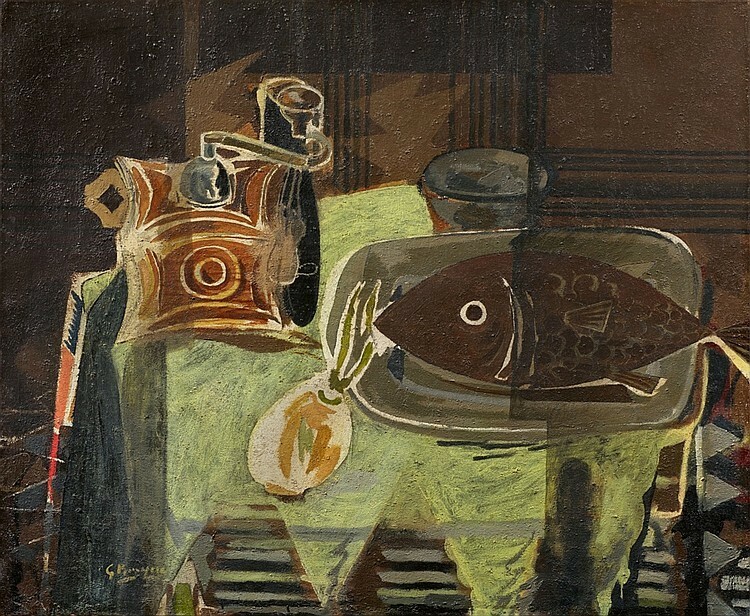 The still life, painted with oil paint and accentuated with sand, is part of the late creative period of the artist, who painted it whilst he was in France in 1942 during the German occupation. The title refers to the coffee grinder, but focuses on the fish and the onion and their relationship to each other. 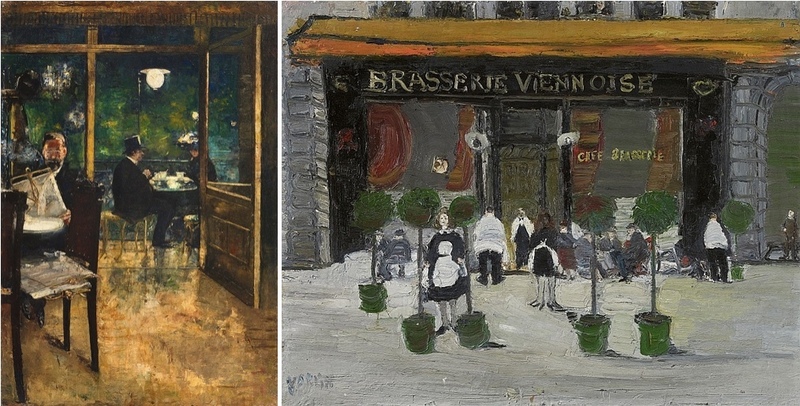 At the same time as Braque's piece was painted, the Swiss artist Varlin created this piece entitled Brasserie Viennois. Varlin, who studied in Berlin and Paris and lived in the French capital from 1923 to 1935, depicts the employees of the café almost as if they are on stage, looking down at the ''audience'' of coffee drinkers. 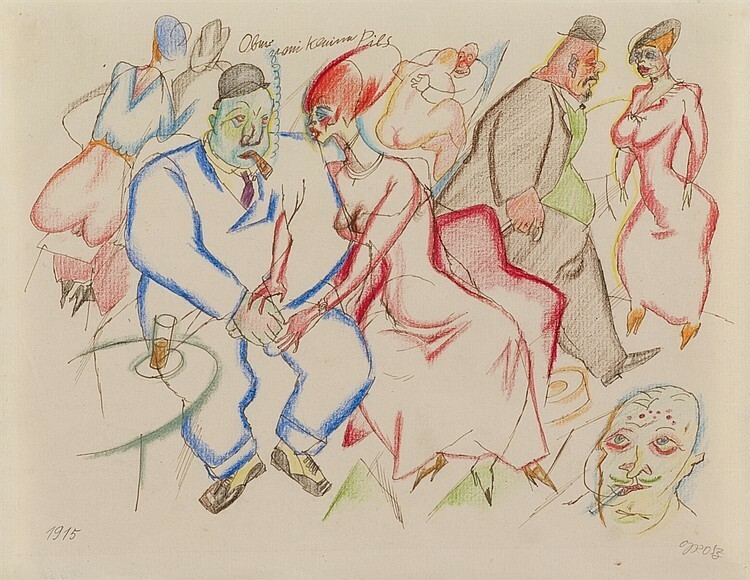 George Grosz and Lesser Ury whisk us away to the Berlin coffee house scene with these two works. Grosz' Kaffeehaus Ober zwei kleine Pils from arguably the artist's best creative period is a typical study of the artist's late oeuvre in the late Wilhelmine and early-republican era of Berlin. In Lesser Ury's Café Bauer, Berlin, 1888/89, he portrays the famous cafe that was opened in 1877, fast became a popular meeting place in the capital of the German Empire. In the painting, a man sits reading a newspaper in the foreground. Reading newspapers was - besides drinking coffee - a favoured past time at Café Bauer, the restaurant offered a wide selection of international newspapers and also electric light, which was still a rarity back then. Light plays an important role in Ury's work, which is expressed in the skilfully painted reflections of light and shadow on the floor in front of the open patio door. In addition to the works from the Klaus J. Jacobs collection, works by Emil Nolde, Hermann Max Pechstein, Lovis Corinth, Ernst Wilhelm Nay and others will also be featured. Also on December 1, there will be two auctions of photography. 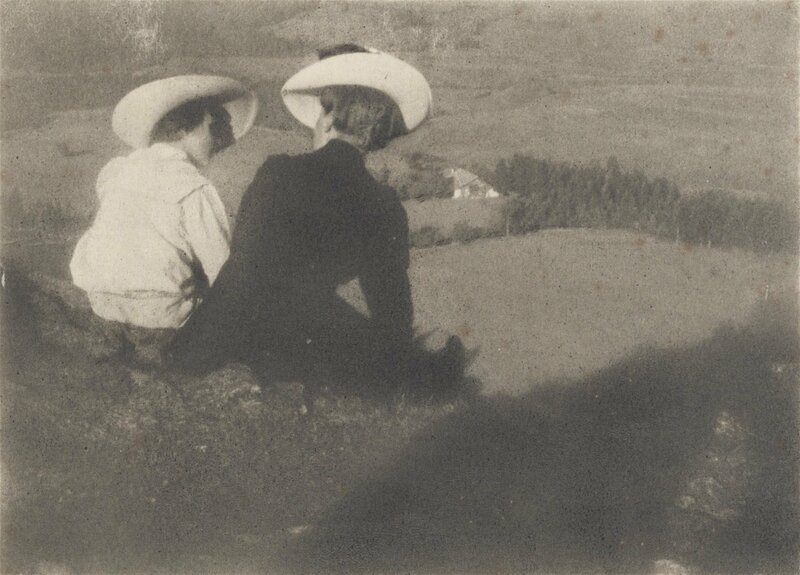 Photo artist Heinrich Kühn was a pioneer of art photography at the beginning of the 20th century, inspired by his previous Impressionism work. 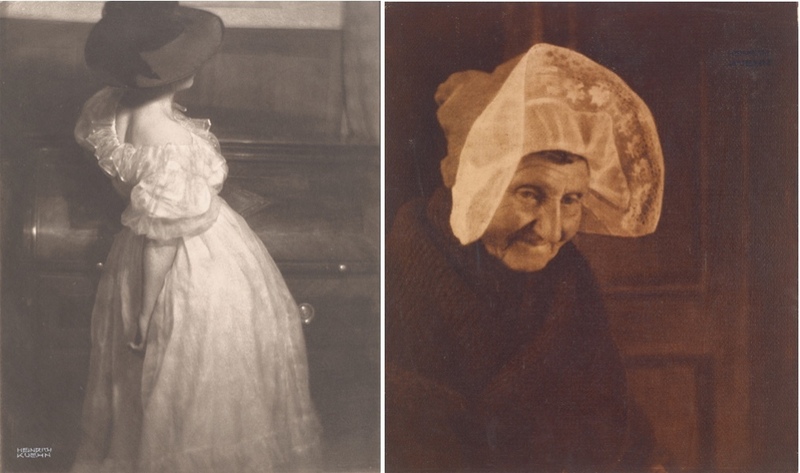 He achieved the painted effect of his pictures exclusively through photographic means. Like a photograph, Gerhard Richter's Teyde Landschaft from 1971, is part of the auctions taking place on December 2. 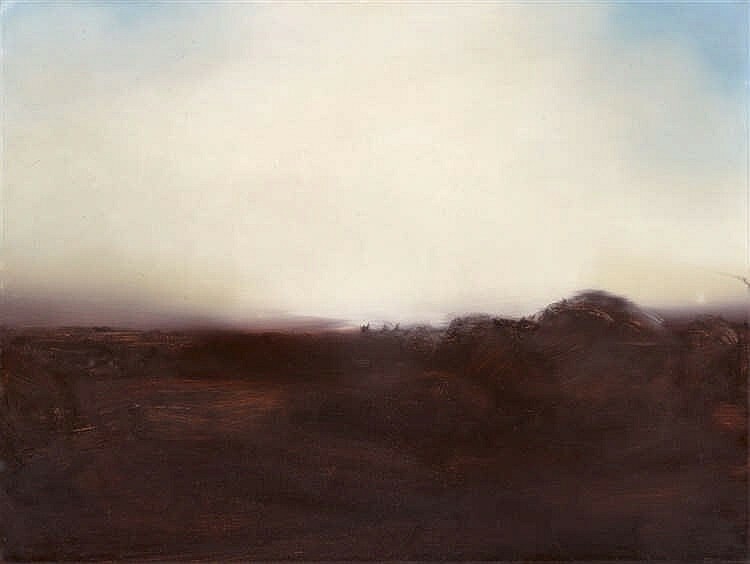 For this work, Richter used a photograph taken during his stay in Tenerife in 1969 by Pico del Teide. The Contemporary Art auction will also include works by Otto Piene, Yves Klein, Joseph Beuys, Josef Albers, Andy Warhol and William Nelson Copley. In addition, an auction of Asian art will take place on December 8 at Lempertz, which features 960 lots including paintings, porcelain, furniture, snuff bottles and cabaret.